Home Blog Mid-life: “Crisis” or Golden Opportunity for Renewal? Let’s face it—it can be extremely unsettling to acknowledge that your life is half over. 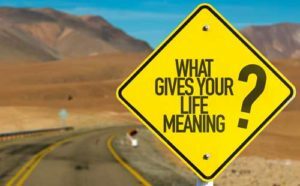 While the sometimes distressing experience of mid-life transition is common all over the world, every person’s journey into the second half of life is unique. Regardless of professional or personal background, there are some common mistakes that people make when they come to the perceived mid-point of their lives. These mistakes generally stem from the tendency to deny the reality of aging or, even if acknowledged, seeing it in almost exclusively negative terms. Unfortunately, these mistakes rob you of the opportunity to make the latter half of life your truly “golden years”. Your mid-life transition can be an opportunity for self-reflection, course correction, and renewal rather than a crisis. Here are some steps you can take to make your transition a period of growth and renewal, rather than an uncomfortable or even painful set of changes. Don’t let your mid-life transition sneak up on you. It is tempting to try to maintain the status quo or even deny the inevitability of change over the course of our lives. Failure to anticipate the shifts that come with aging can leave you emotionally unprepared for what is to come. Change may come sooner than you expected so begin early to think about the opportunities and possibilities available in the second half of life. Give yourself plenty of time to evaluate your life to date and dream about the new paths opening to you in the future. Failure to give yourself adequate time to reflect and consider your future can lead to missed opportunities or poor choices in what you do with your later years. Set aside time to reflect, assess, and envision your perfect future. What has been satisfying and fulfilling in my life thus far? If my life turned out perfectly, what would the elements be? What would give me a strong sense of purpose in my later years? Did I put off important experiences that I might now make a reality? Are there parts of myself that have gone unexplored and undeveloped so far? Is there a contribution to the world or a legacy I would like to build? Use these important questions to develop a clear sense of what you want to do with your life that would bring you a sense of fulfillment. This may lead to a re-commitment to earlier values or a reassessment and redefinition of your life goals. You may choose to go deeper into activities you have once enjoyed. Or you may decide to strike out in a new direction to “fill in” some of what you may have missed or not had time for in your life thus far. Whatever direction you ultimately choose, give yourself plenty of time to develop a clear and compelling vision of what you want to build into your future life plan and begin to identify some concrete action steps in that direction. The passage into midlife can be a confusing and unsettling time. You are entering new territory with new challenges and new opportunities. You can prepare yourself for these inevitable changes. Talk to others who seem very happy in their later lives. Find out what their mid-life experience was like and what tips they can give you to make your own transition smooth and successful. Share your thoughts and feelings with your friends and family. If you are married or have a committed life partner, share your thinking and build alignment with them. Midlife is an ideal time to switch from writing two separate stories to creating a common future dream together. Doing so can create deeper intimacy and more joy in your second half. If you find that you are having an especially bumpy ride into your second half or trouble adjusting to the new reality, consider seeking the support of a professional life coach or therapist. They can help you to work through difficult feelings, discern your deeper values, and get clear on what’s most important to you in your life going forward. From that as a base, they can help you to assess your options, create a motivating positive vision of your future life, and design a concrete action plan to achieve it. As a psychotherapist and life coach, I often work with people who are transitioning from one life stage to the next. If I can be helpful to you, please feel free to call me for a free initial consultation.